There’s a reason this country was the setting of choice for several Survivor and Amazing Race escapades. From top to bottom, the easiest challenge to the most extreme, these great, green outdoors are an explorer’s dream. Here in the Philippines, both serious trekkers and lazy beach bums have a range of options. Why don’t we start from the top? Hundreds of volcanoes dot the land — sizzling peaks to make you think that the gods must have been on edge. Steal a view from the top, soaring by private plane over the smoking mouth, or ascend these fiery mountains by foot, through lava-rock trails. You can visit volcanic Camiguin, or mystical Siquijor and experience the contrast of sandy shores and deserted coastlines, private islands, isolated coves, and quiet bays. If defying the laws of nature isn’t your idea of fun, there’s sure to be something else to kick up your adrenaline. Maybe you’d prefer scaling the World Heritage Site of the Banawe Rice Terraces, a natural wonder better seen up close. Or ziplining over seven stunning waterfalls in Lake Sebu, South Cotabato. Looking for deluxe delights? Go glamping (glamorous camping) in one of Bohol’s top resorts, where activities include getting to know a tiny Tarsier. Craving cooler climates? Drive up for the low temperatures of the highlands. Check out Baguio City and the place that time forgot — Sagada. Watersports abound! 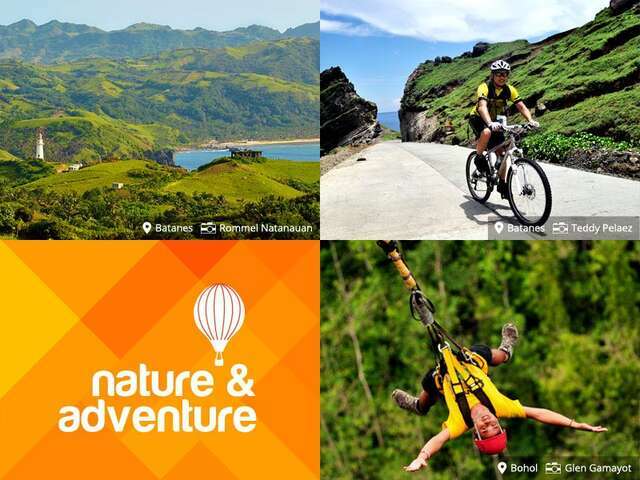 Sailing in Subic Bay and Batangas; white-water rafting down Chico River; even the more extreme kitesurfing is growing more popular by the day in Bicol, Boracay, Coron, Cuyo, and windswept Pagudpud Peninsula — the country’s northernmost tip. You’ve probably heard about the friendly butanding (whale sharks) of Donsol, and Palawan’s fascinating underground river. Travel down south for eco-adventures in Cagayan de Oro, and join the colorful regattas of Zamboanga. Would you like to visit the Philippines? Give your UNIGLOBE Travel Expert a call today and ask about the latest specials to this amazing destination.